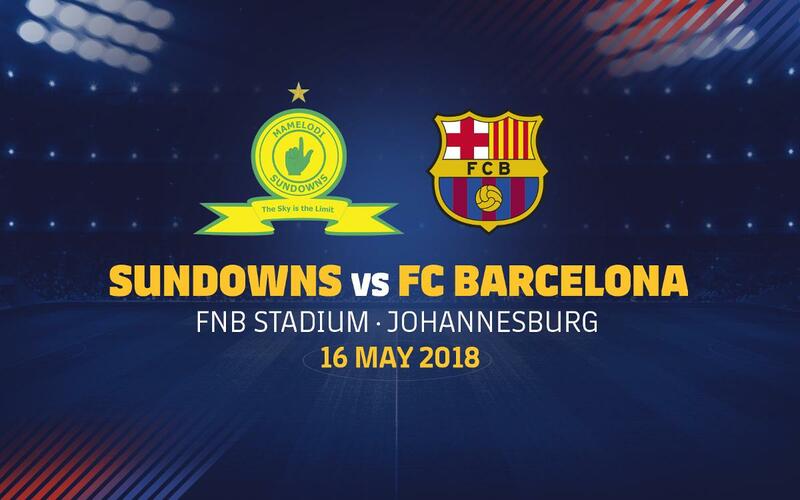 FC Barcelona will be playing its part in the events to commemorate what would have been Nelson Mandela’s one hundredth birthday as they travel to South Africa for a friendly game on May 16 against ABSA Premiership champions Mamelodi Sundowns. The team will travel to Johannesburg the day before the match, which kicks off at 6.15pm (both local time and CET) in the FNB Stadium, formerly known as Soccer City Stadium. The teams will be playing for the Mandela Centenary Cup, which forms part of the celebrations of the life of Nelson Mandela in 2018. The game presents a wonderful opportunity for South African supporters of Barça, and is being organised by the South African Football Association together with LaLiga World Challenge. FC Barcelona fans will be able to watch the game streamed live on the club’s official media channels, including the website, except in South Africa and certain neighbouring countries. FC Barcelona has always professed its admiration for Nelson Mandela, one of the greatest figures of the 20th century, who after 27 years in prison went on to become the first democratically elected president of post-apartheid South Africa from 1994 to 1999. Mandela represented the struggle for freedom and equality in the country, and played a huge role in unifying the racially divided society. It is precisely this kind of spirit with which FC Barcelona has always been identified. FC Barcelona joined the mourning of the passing of ‘Madiba’ in 2013 at the age of 95 by wearing black armbands in the game against Cartagena. FC Barcelona have played 21 games on African soil over the years, and this will be their second visit to South Africa. The last time they were in the country was 2007 for a friendly in Pretoria, also against the Mamelodi Sundowns. The Catalans won that game 2-1 with goals from Santi Ezquerro and Marc Crosas. Thirteen of the 21 games have been friendlies. Two of them were in the Mohammed V Trophy of 1969 (which Barça won, beating Bayern Munich in the final), one was to celebrate the centenary of Egyptian club Al-Ahly in 2007, one was against Atlético Tetuán in La Liga of 1951/52 (this was prior to Moroccan independence when the city formed part of the Spanish protectorate), and they have also played four games in Africa in the Spanish Cup. Altogether those games have produced 18 wins for FCB, one draw and just two defeats. Barça have played African teams just 13 teams in their long history, and four of those have come this century, including the only one ever played at the Camp Nou. That was in 2003, a friendly against Al-Ittihad of Libya, which they won 5-0 with goals from Gerard López (3), Thiago Motta and Sergio García.